HOUSTON - As U.S. Catholic leaders head to the Vatican to meet with Pope Francis about a growing church abuse crisis, the cardinal leading the delegation has been accused by two people of not doing enough to stop a priest who was arrested this week on sexual abuse charges. The two people told The Associated Press that they reported the priest and met with Cardinal Daniel DiNardo of the Archdiocese of Galveston-Houston. One of them says she was promised in a meeting with DiNardo, several years after she first reported the abuse, that the priest would be removed from any contact with children, only to discover that the priest remained in active ministry at another parish 70 miles away. 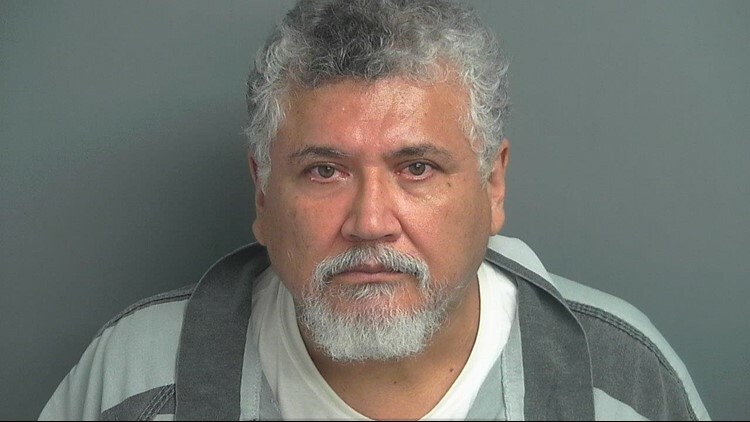 LaRosa-Lopez, 60, is accused of fondling both people when they were teenagers and he was a priest at Sacred Heart Catholic Church in Conroe. He is charged with four counts of indecency with a child. Each count carries a maximum possible sentence of 20 years in prison. LaRosa-Lopez is now the pastor at St. John Fisher Catholic Church in Richmond. He is also the archdiocese's episcopal vicar for Hispanics. The archdiocese issued a statement Wednesday confirming that both people had come forward to report abuse by LaRosa-Lopez, one of them in 2001. The archdiocese said it reported both allegations to the state Child Protective Services, and said it was unaware of any other "allegations of inappropriate conduct involving minors" against the priest. A spokesman for CPS on Wednesday could not immediately confirm if the reports had been made. LaRosa-Lopez did not immediately return a phone message left Wednesday. In addition to his responsibilities in Houston, DiNardo is head of the U.S. Conference of Catholic Bishops, a position that has made him a prominent figure in the church's response to a new wave of allegations that Catholic leaders covered up sexual abuse. He is meeting with Pope Francis on Thursday at the Vatican. One was flown by the church from the West Coast to Houston to meet with DiNardo and the victims' assistance coordinator for the archdiocese. They met at the archdiocese on the afternoon of Aug. 10. He wrote down notes from the meeting quickly after leaving, and shared a copy of the notes with AP. One night, he said, the priest showed him pictures of young seminarians that "he had a lot of fun with," and tried to take the teenager's clothes off and put his hands down his pants. He pushed back and quickly left the residence. He said he reported the incident to church authorities last year. The archdiocese said Wednesday it was "formally presented" with the allegation in August.